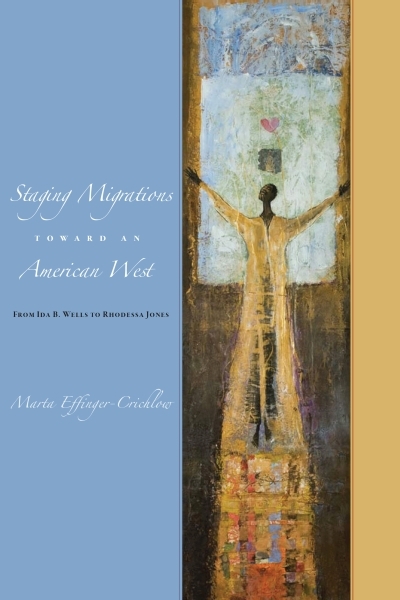 Marta Effinger-Crichlow’s book, Staging Migrations Toward and American West examines how black women’s theatrical and everyday performances of migration toward the American West expose the complexities of their struggles for sociopolitical emancipation. 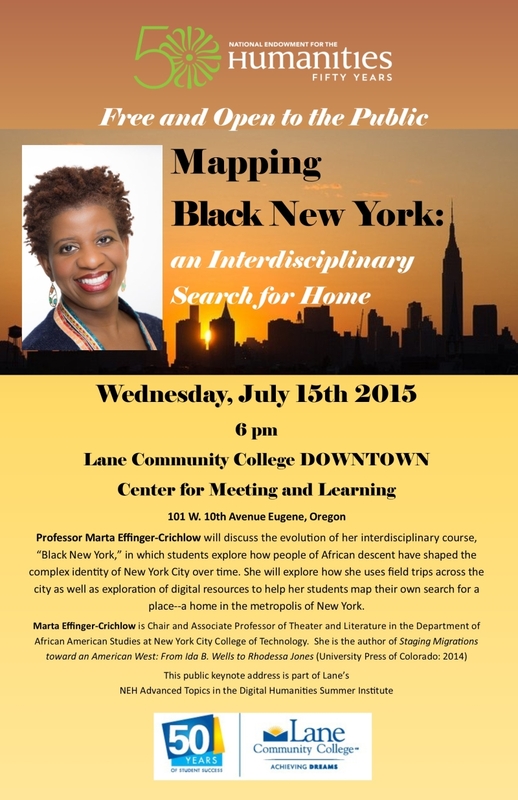 Marta Effinger-Crichlow, PhD, Associate Professor and Chair of Literature and Theater in the African American Studies Department at the City College of Technology in New York, will give a lecture entitled, “Mapping Black New York: an Interdisciplinary Search for Home,” at Lane Community College’s Downtown Center on Wednesday evening, July 15th, 2015 at 6 pm. 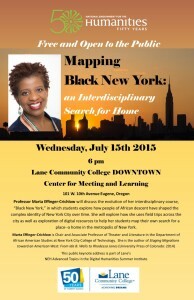 Professor Effinger-Crichlow will discuss the evolution of her interdisciplinary course, “Black New York,” in which students explore how people of African descent have shaped the complex identity of New York City over time. She will explore how she uses field trips across the city as well as exploration of digital resources to help her students map their own search for a place–a home in the metropolis of New York. Effinger-Crichlow is the author of Staging Migrations toward an American West: From Ida B. Wells to Rhodessa Jones (University Press of Colorado: 2014). This public keynote address is part of Lane’s National Endowment for the Humanities Advanced Topics in the Digital Humanities Summer Institute. It is free and open to the public.